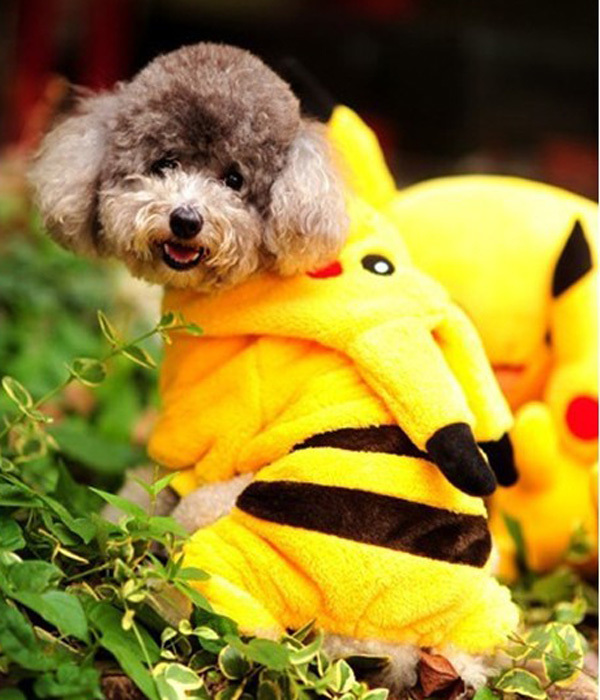 Unfortunately, there was a limited amount of pets dressed as Pokemon on the internet so it took a bit of digging. 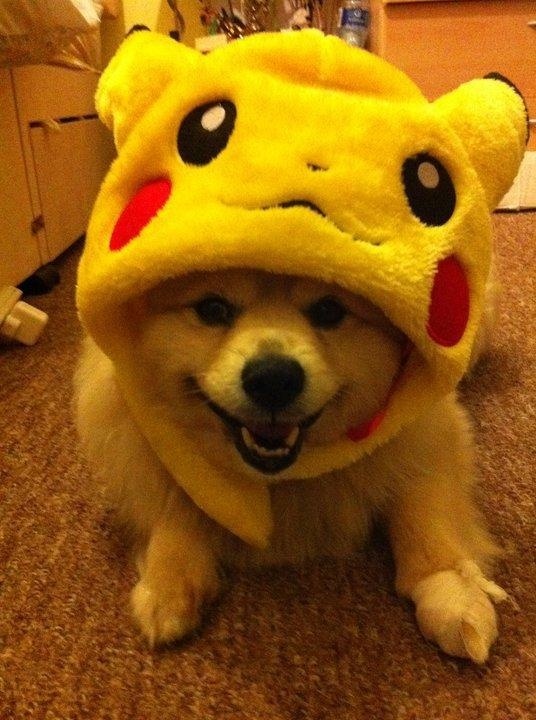 I was kinda surprised because who wouldn’t want some real life Pokemon (who are also their beloved pets) for the day!? 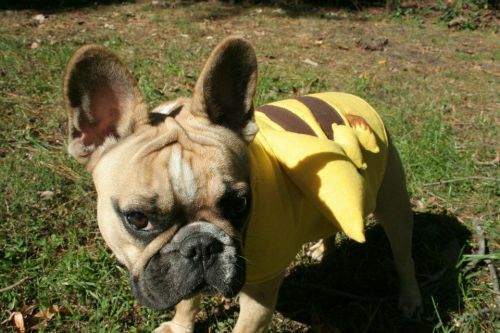 Below are pets dressed up as Pokemon and I made sure to give credit to their wonderful owners. Hope you enjoy them in their costumes as I much as we do! 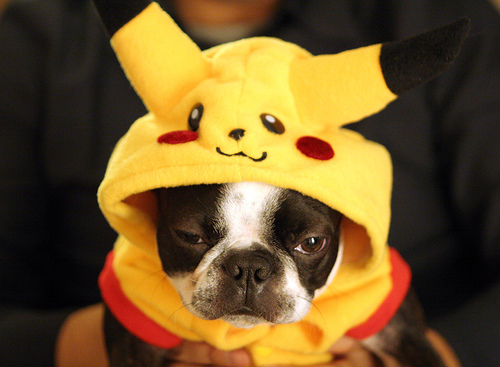 We even encourage you all to dress up your pets, or your friends’ pets as Pokemon this Halloween! Last year Tumblr user Piochips‘ bearded dragon, Salsa, cosplayed the fire breathing dragon Charizard. 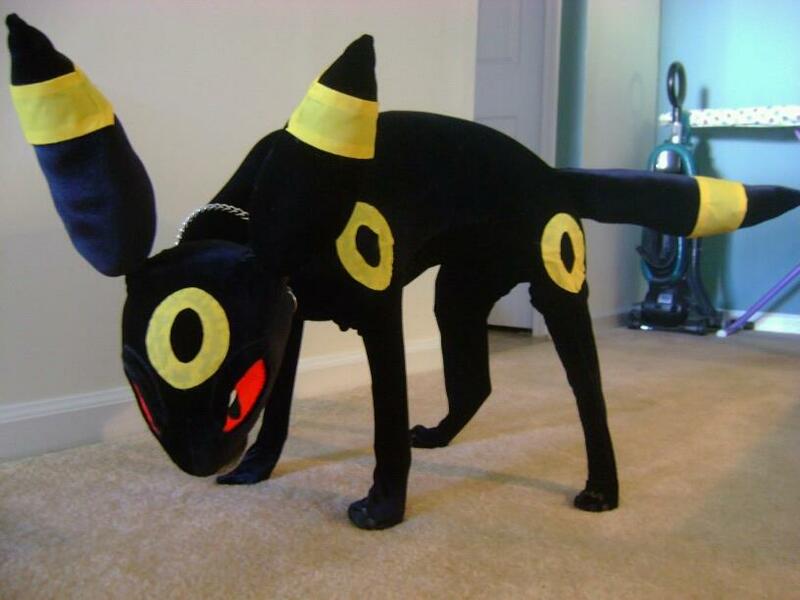 Deviant Art user leafeon-ex made an outstanding costume for their Umbreon. Imgur user simonthepug cosplayed as Red and dressed up their pug, Simon, as Bulbasaur. 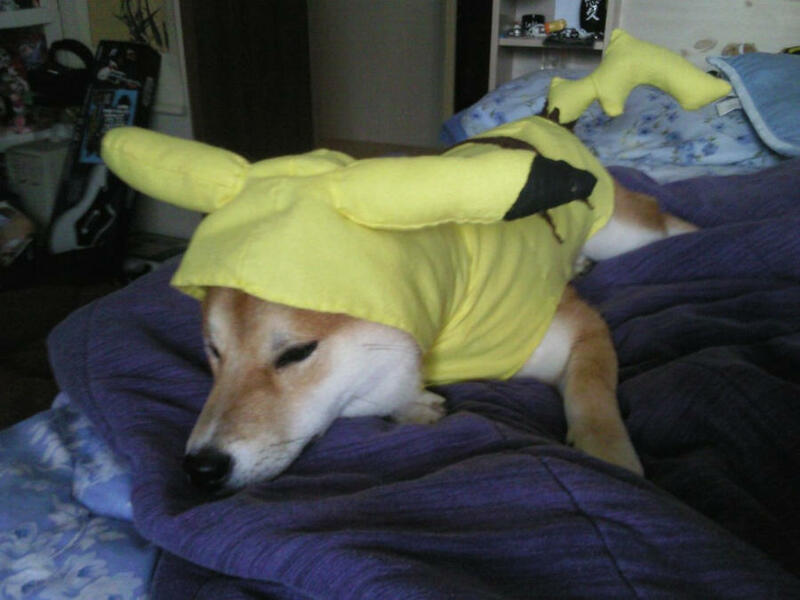 Pikachu seems to be the forever favorite Halloween costume for dogs. Always remember to give credit to the creator/owner if you decided to share any pix! 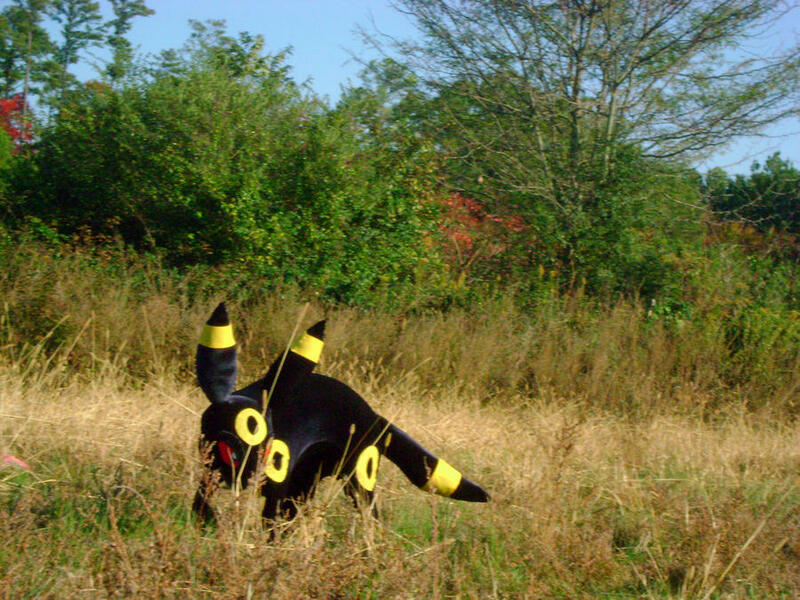 Also have a Happy Halloween everyone and don’t forget about getting your very own Pumpkaboo before tonight is over! how cute. and in a lolz sidenote, i now have two codes for the ORAS demo and i can’t use either one cause 3DS can’t handle a darn proxy server. XP and no, you can’t have them.